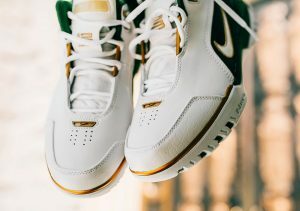 The Nike Zoom Generation Is set to retro again this Saturday, May 26th, 2018. 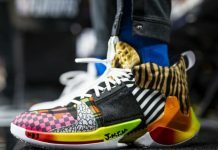 We got a retro of Lebron James’s first signature shoe in 2017, 4 years from its original release date in 2013 when Nike released the “First Game” colorway. 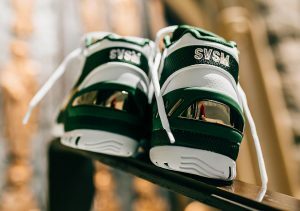 This time around Nike pays homage Lebron’s High School team in his hometown of Akron, OH St. Vincent-St. Mary High School where he went on to win 3-state championships and ultimately be labeled “The Chosen One.” The Nike Zoom Generation is set to release this Saturday, May 26th, 2018 at select Nike retailers sporting a 175$ price tag.